Under the leadership of Captain Barnacles Bear, closely flanked by Lieutenant Kwazii Cat and Medic Peso Penguin, the Octonauts are always ready to embark on an exciting new mission! When Peso gets trapped in an ocean trench in the Gup-E he is surprised by a strange looking creature with a see through head! 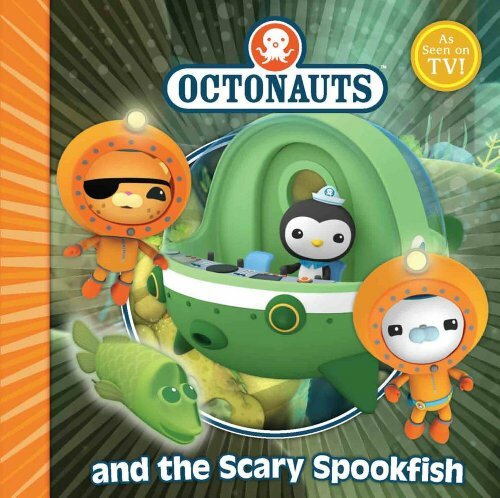 This odd deep sea fish turns out to be a Spookfish called Boo, and his special ability to see vertically comes in very handy when the Octonauts try to winch the Gup-E back up the narrow ocean trench. Octonauts, let's do this!